Rashtriya Swayam Sewak Sangh has finally decided to take on the advancing Chinese army which is daily encroaching the Indian land. Committed to unified India the Chinese offensive has become unbearable for the patriotic organistaion called RSS. 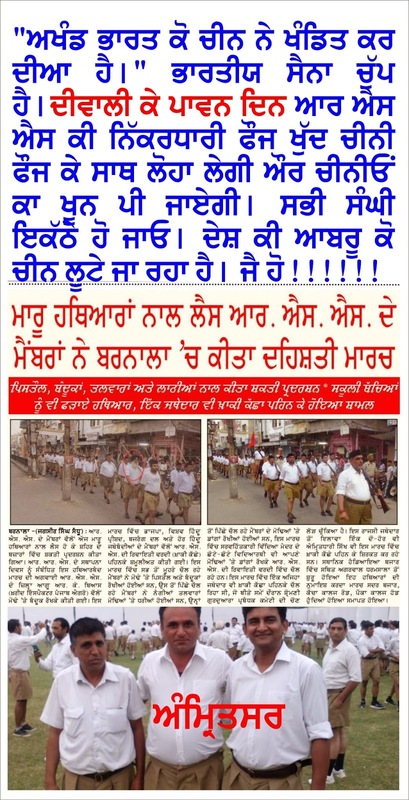 The last Sunday the RSS conducted armed training in almost all cities of Punjab. They are going to launch their assault on Red Army on the pious day of Diwali.